Organic Chemistry … even the name itself can seem intimidating. Undoubtedly, you have heard horror stories about the difficulty of this class (people failing it, then retaking it, only to fail again). As much as I’d like to ensure you that this class is actually a breeze, that you have nothing to worry about, and other comforts along the same vein … I can’t. In truth, Organic Chemistry is a very difficult class. You can’t passively learn Organic Chemistry, and you can’t cram for it a few days before the exam. But, as long as you are willing to put in the time and effort to stay on top of the material, it can be very manageable. Consistency is very important. You need to consistently add in a little bit of extra work throughout the entire semester. If you’re willing to be a proactive and persistent student, then you are almost guaranteed to pass with no issues. The goal of this syllabus is to provide you with a strong starting point. From this, you can branch out and utilize all kinds of resources that will ultimately teach you the material. While I hope this is effective as a study tool, make sure you are using other available resources as well; office hours, review sessions, and even the textbook can be extremely helpful! In order to do well in Organic Chemistry (and, at most schools, in order to be allowed to take it), you will need to take General Chemistry (depending on your school, probably General Chemistry 1 and 2). You’ll also need an in-depth understanding of the basic principles, since everything in Organic Chemistry builds off of basic General Chemistry concepts (See Section: ‘The Basics’). Some good news—if you took General Chemistry, this class starts out with a bunch of topics that should be a review. Even better news—if you did well in General Chemistry, these first few topics will be relatively easy. You’ll notice, as you progress in Organic Chemistry, that new topics will be built off of the previous ones. So, we’re going to start with some relatively simple stuff and work our way up from there. The topics we’ll cover in this section are going to be concepts such as valence, Lewis structures, formal charge, condensed structural formulas, geometry, hybridization, and resonance. Hopefully, a few of these, if not all of them, should sound pretty familiar—you probably have at least a basic idea what these are. If not, don’t worry—you should be able to learn these topics without too much trouble. Now that we’ve got the review stuff out of the way, let’s start talking about some molecules- specifically, alkanes, which are pretty much the simplest molecules we’ll deal with in this course. Alkanes are molecules composed of a carbon chain, meaning two or more carbons connected in a row. The name alkane implies that all of the carbons are connected by single bonds only. Easy enough, right? It gets a little more complicated when the carbons connect in a circular-like manner, which is known in organic chemistry as a “ring structure”. These are called cycloalkanes. Have two rings? Now we’ve got something known as a bicycloalkane. All of these have pretty important features that you’ll need to understand, because things only get more complicated from here. By the end of this section, you should be a pro at naming these structures. Keep in mind there are slightly different rules when naming alkanes vs. cycloalkanes vs. bicycloalkanes, and another new set of rules when double and triple bonds come into play. But for now, we’ll be learning the general rules. Also, you’ll want to have a good understanding of strain energies in cycloalkanes as well as how isomerism factors in. By now you should have a pretty good idea of how molecules orient themselves in space in terms of geometry and connectivity. Often, however, there is more than one way a molecule with a certain molecular formula can orient itself. It is important to be able to distinguish different molecules, even if they appear at first to be identical. There are two major topics you should know in terms of distinguishing similar molecules, which I’m sure you can guess based on the heading. Isomers have the same exact molecular formula but a different arrangement of molecules, often giving them different molecular properties. Chirality has to do with a different orientation around one central, or chiral, atom. This concept is a little tougher to grasp at first, but with practice it should become very familiar. Alright, by now you should have a pretty good understanding of what molecules look like when they have a carbon chain, how they orient themselves, how to name them, etc. Let’s mix it up a little by making things a tiny bit more complicated—let’s add double bonds to the mix. A molecule with a carbon chain containing one or more double bonds is known as an alkene. That means a ring structure with a double bond is ( … you guessed it) a cycloalkene. This double bond opens up a whole new world of possibilities in terms of nomenclature and reactions. The first thing to learn about alkenes is naming them. The bad news is that there are new rules to learn since we introduced a new component to our molecule. The good news is there isn’t that much more to learn, and the majority of the rules for nomenclature are exactly the same. The main difference now is that the double bond will be the priority—over chain length and functional groups—in terms of naming the alkene. Learning about reactions, or how to get from one molecule to another, is going to be absolutely essential for the rest of your organic chemistry career. We’re going to start out by just learning a couple of the basic ones that affect alkenes. However, this list will eventually expand to include a ton of reactions that you can use to get from almost any simple molecule to another. For the most part, learning these reactions is straight memorization—you just need to put the time in and learn them all. However, make sure you know how to use them, especially when we get to synthesis, or the creation of molecules from essentially scratch. IR and NMR are two topics that, at first, seem pretty difficult. These definitely take a little bit of practice before they make any sense. But once you start to get the hang of them, they are fairly straightforward, and some people compare solving NMR problems to solving puzzles. Essentially, the point of IR and NMR are using chart readings to determine the structure of an atom. IR, or Infrared Spectroscopy, uses a wave-like figure and points of interest on a diagram to determine functional groups. NMR, or Nuclear Magnetic Resonance Spectroscopy, uses peaks on a diagram based on equivalent Hydrogen atoms, to determine what a molecule is comprised of. Keep in mind that a NMR that uses Hydrogen atoms is technically known as an h-NMR. A NMR that uses equivalent Carbon atoms is known as a c-NMR. This is from the University of Calgary, they have a bunch of resources for orgo. This one talks all about NMR and has a ton of specific topics which will come in handy. Guess what? Reactions are back! This time, we’re using entirely different mechanisms to get the job done. Introducing: the radical. A radical occurs when a bond breaks and instead of one atom taking both electrons, each atom involved in the bond gets one. These radicals are often unstable, but can be used to make all new reactions take place. As stated in the last reactions section, you’re just going to need to memorize these, both what the reactions do and how they do it. We’ve learned about molecules with single bonds. We’ve learned about molecules with double bonds. We both know what comes next. The last major category of molecules we’re going to learn about in this course, the alkynes. Alkynes are any molecules that feature a triple bond. In a alkyne featuring only carbons and hydrogens, there will be n-2 hydrogen atoms, with n being the number of carbon atoms. Of course, since we’re learning about a new category of molecule, there are going to be some new rules associated with naming. Luckily, learning these rules won’t be too different than learning the alkene naming rules. By now you should know a decent amount of different reactions. This section is dealing with a very specific group of reactions that you should know very well- substitution and elimination reactions. Odds are, you already know a reaction that falls into one of these categories without even knowing it. You’ll need to know what each mechanism does, and more importantly, how the mechanism proceeds. You’ll also need to recognize the conditions that would lead to either type of reaction to occur. The obvious difference between substitution and elimination reactions is that substitution reactions replace one substituent with another while elimination reactions simply remove the substituent. However, there are more specific differences you will need to be familiar with. 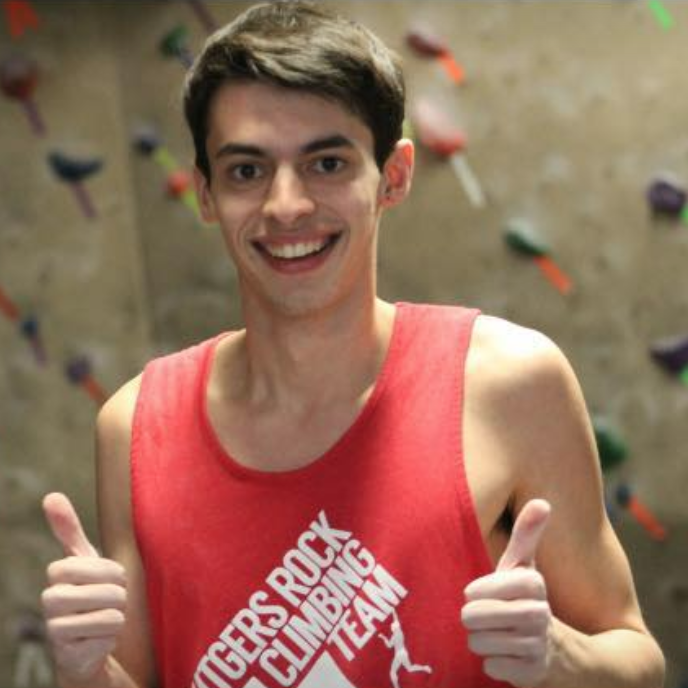 I like to rock climb and tell stories that only I find funny. I have a whole bunch of weird talents but I’m not actually good at any of them.